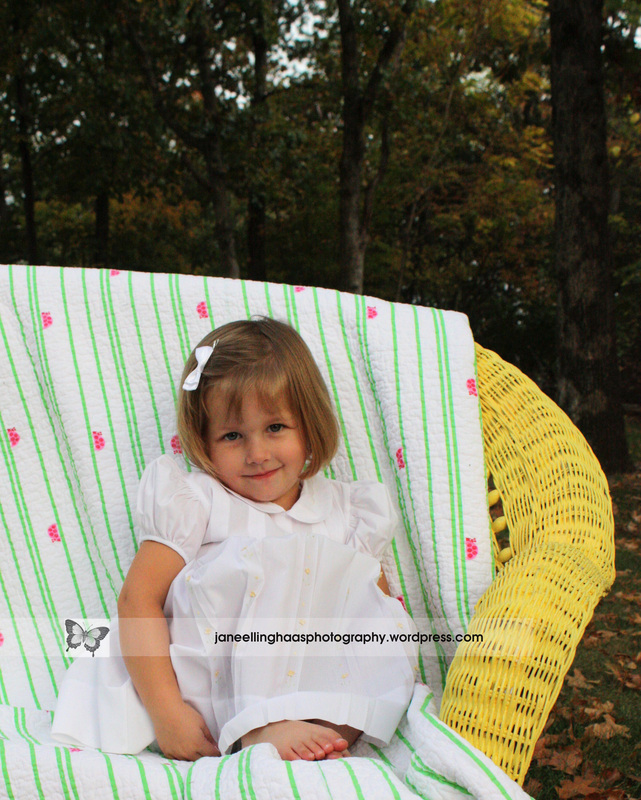 Mia is a magical three-year-old who loves to go barefoot, eat strawberry ice cream, and spend vacation time with her grandparents. 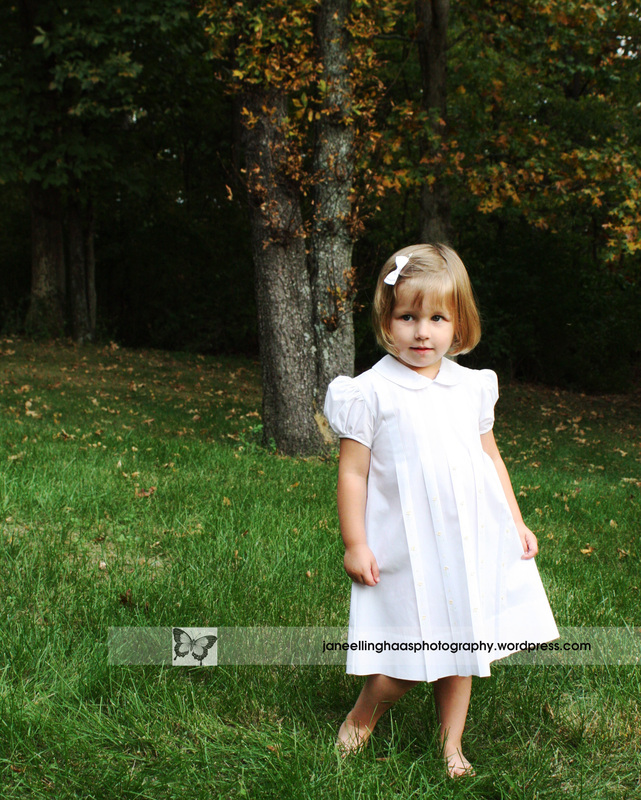 As we roamed around the back yard, we kicked the dry, rustling leaves, and I captured Mia’s spirit–a little bit magical and a little touch of mischievous in her cute grin and sparkly eyes. 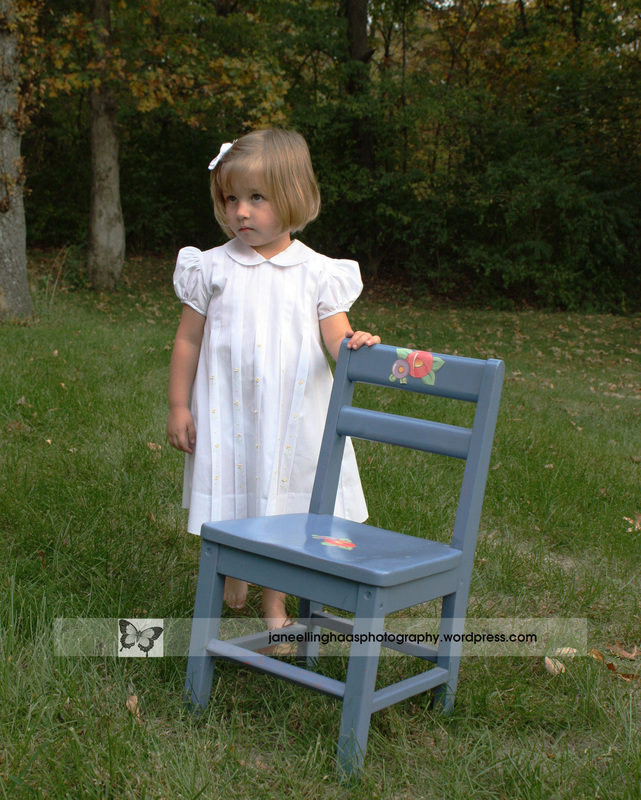 Mia wore a very special dress her grandma chose, with tiny yellow flowers embroidered down the front pleated sections. 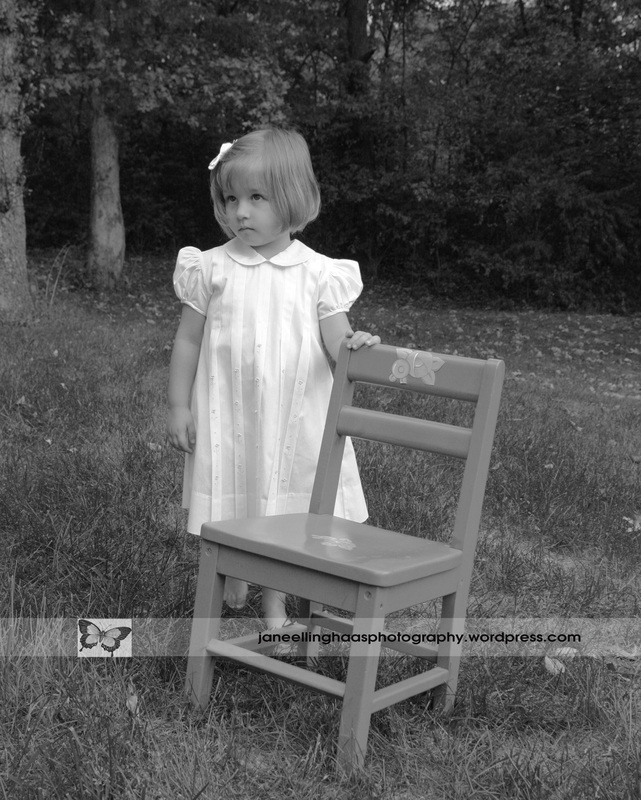 It seemed appropriate to create a vintage black/white photo to showcase such a special little girl in her dress. And isn’t her haircut adorable?! I hope you come back another day to play, Mia! And bring your grandma again too! 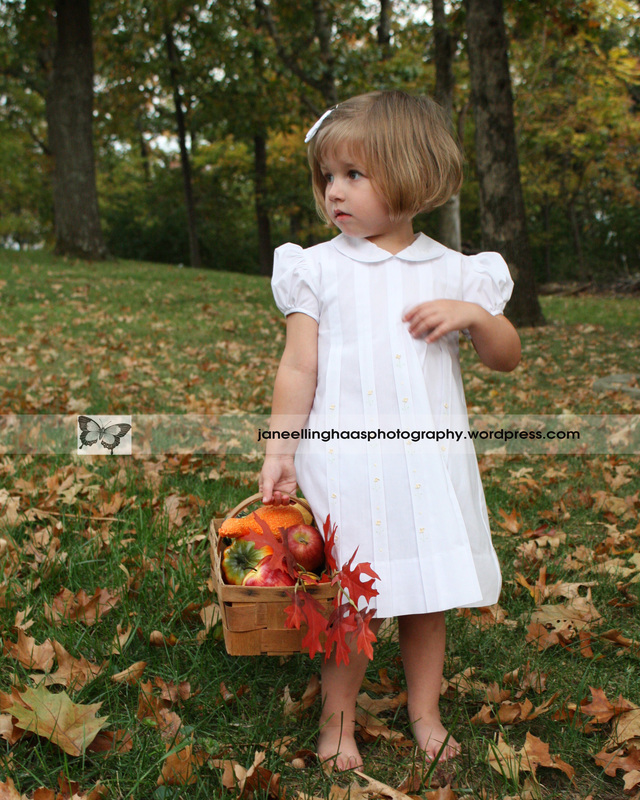 This entry was posted in Children, Families, Relationships and tagged Autumn, child's play, Children, creativity, Family, Mia, natural light, Preschooler, Relationships, Snapshots of daily life, St Louis area photographer of families and children. Bookmark the permalink.